Ramirez Family Fencing has been providing top quality fencing for ranches, farms, and more throughout the greater San Angelo and Midland, TX areas for over 30 years. 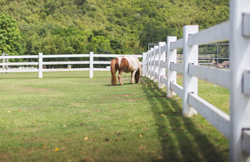 Our team of fencing contractors install durable, long-lasting, and effective ranch fencing for livestock, privacy fencing for your yard, and more. No matter how big or how small the project is, make sure you call Ramirez Family Fencing first! 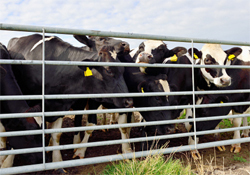 We want to help your livestock to stay safe and secure on your land. 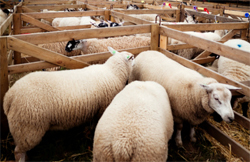 Without the proper installation of livestock fencing, your animals could get loose, causing all kinds of destruction and possible legal issues for you. Don’t trust just anyone with your livestock fencing, trust the experts at Ramirez Family Fencing with over 30 years of experience in the industry. High fencing, otherwise known as exotic game fencing, helps to keep trespassers and predators away from any exotic animals on your property, as well as keep your exotic animals where they belong. We will work with you to figure out the appropriate installation for your exotic game fence and gate system. Call today to learn more about our high fence construction services. Keep your animals and livestock safe from predators and call us immediately when you need fencing repair services. Our team will arrive in a timely manner to help repair your fencing and restore security on your property. Whether you have exotic animals or livestock, it is important that you have a reliable fencing contractor to call, and that’s Ramirez Family Fencing. When it comes to quality fencing, it doesn’t get any better than Ramirez Family Fencing. For over 30 years, we have been giving farmers, ranch owners, and others the quality fencing that they need for security and privacy. If you need a reliable fencing contractor, give us a call for an estimate!